While I love making jewelry, I am not a great wearer of jewelry. I feel like I am just too rough and tumble and well, that coordinating look persona is just not me. I haven't worn jewelry or makeup regularly since high school, when I realized I wasn't very good at the coordinating thing, and I just didn't care enough. (Good thing my husband appreciates these qualities.) But that does not mean I don't like to look at or make beautiful things. I just usually make them for others. So, I was surprised when I was searching through the ribbon section (for a completely unrelated project, naturally) at Hobby Lobby and spotted this fabulous sequenced ribbon. I knew exactly what I wanted to do with it. I was going to make some easy, worry-proof (as in it is so cheap and easy, I don't care if it breaks) bling for myself, my niece, whoever, and I knew exactly how I wanted to do it. 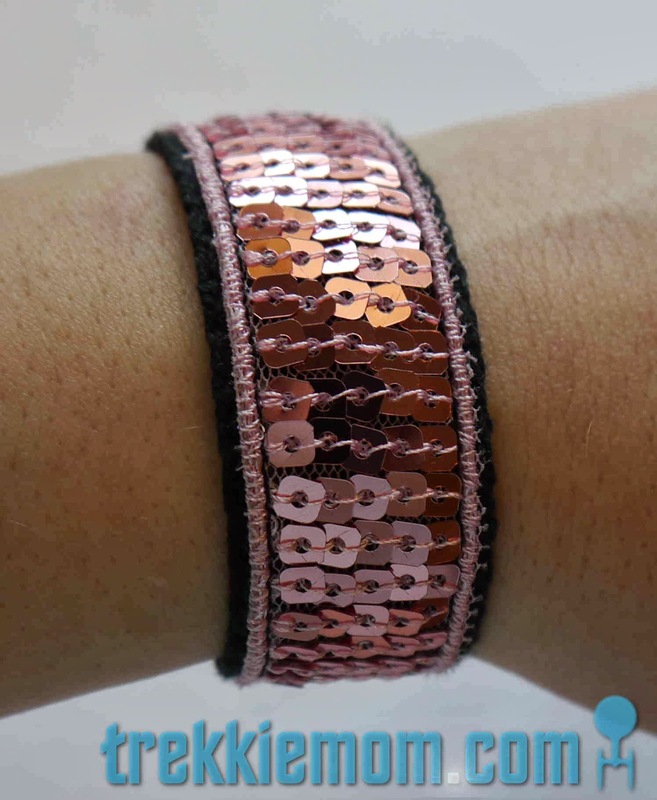 I bought 2 spools of the sequenced ribbon, a pretty, soft pink and a sleek silver. Holy Moses! They are so cool. Yeah, yeah, I have a little bit of girly in there. Next you need either some belt material, trim material or other type of backing material that is wider or just as wide as the ribbon. Mine was just a little bit wider and black, which I think adds to the bling effect. The belt material will be thicker and stiffer than the trim material, which you can buy in a spool, while you can buy the belt material by the yard. Now that you have your materials, measure your wrist or the wrist of the person you want to give it to. 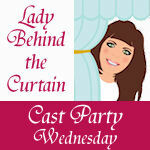 If you are using the trim, add an inch and a half to that measurement or more, if you don't want it to fit snugly. If you are using the belt material, only add an inch to your measurement. With that done, it is time to cut your sequence ribbon. Add 4 rows of sequence to the finished length (if the finished length of your backing material will be less than its cut length) that you cut your backing material. You will be folding the extra rows of sequence under to hide the unfinished edges of the ribbon. 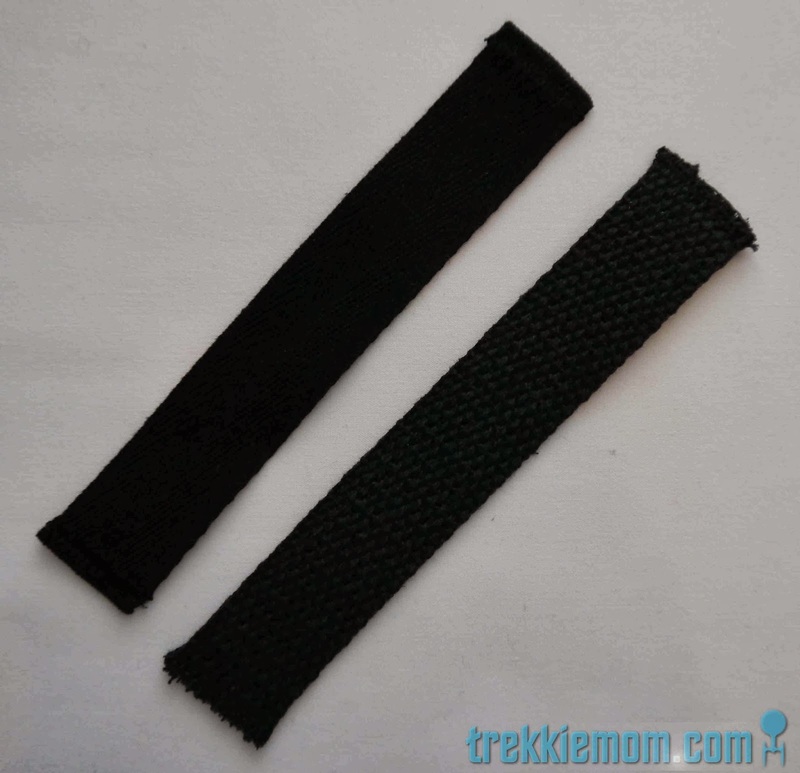 If you are using trim or some other kind of thin material, you will be looking to fold it over by a quarter of an inch and sew that end down to prevent fraying. I zigzagged my ends. 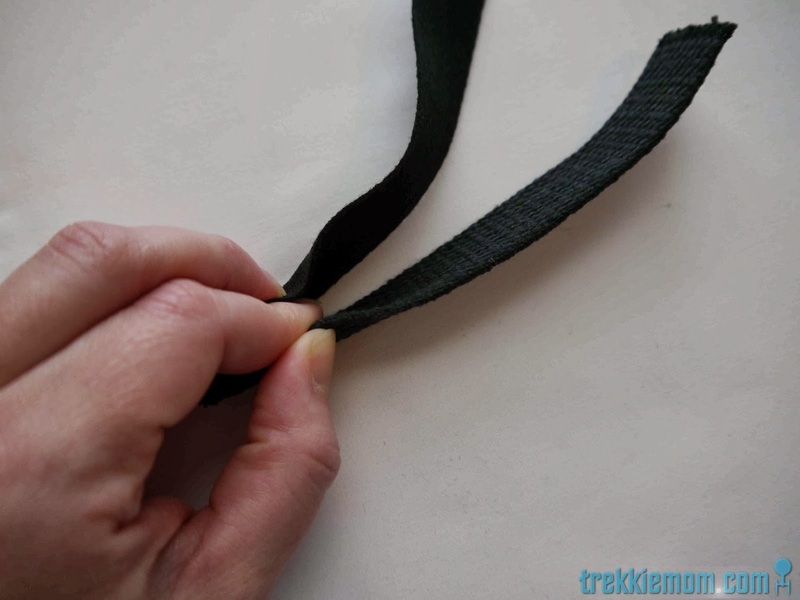 If you use the belt material or other thick material, just zigzag the ends without folding them over at all. They are thick enough to just zigzag like as they are. 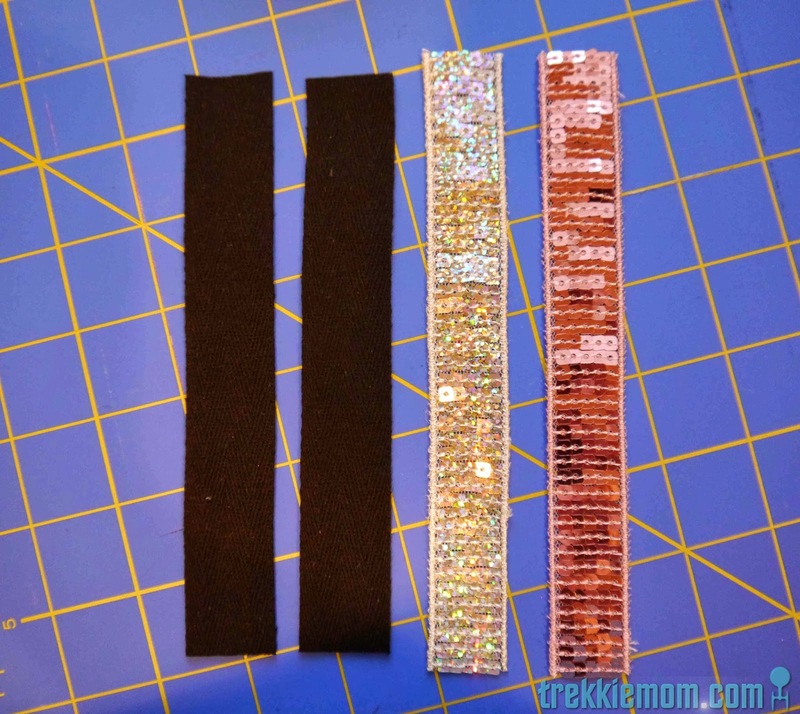 Now line up your sequence ribbon on top of your backing material. Fold one edge over the edge of the backing material, and fold the other end under itself. 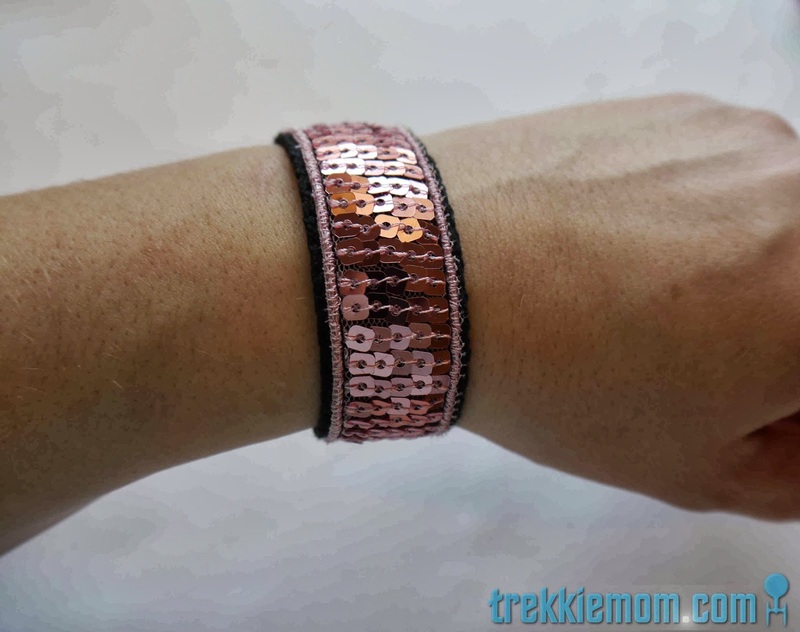 By folding the one edge over the backing material, the bracelet has a more continuous look when worn. I have used pins when sewing these, and I have also free-handed it. Do what is comfortable for you. Sewing the very edge of the ribbon with black (or matching) thread , you can hardly even see where it is sewn to the backing material. Finally, add velcro, snaps or other type of closure. I used my trusty KAM snap setter and a glossy black plastic snap as my closure. Just think of the possibilities. Layer them. Layer them with other jewelry. And they are light and airy. Great for kids too. 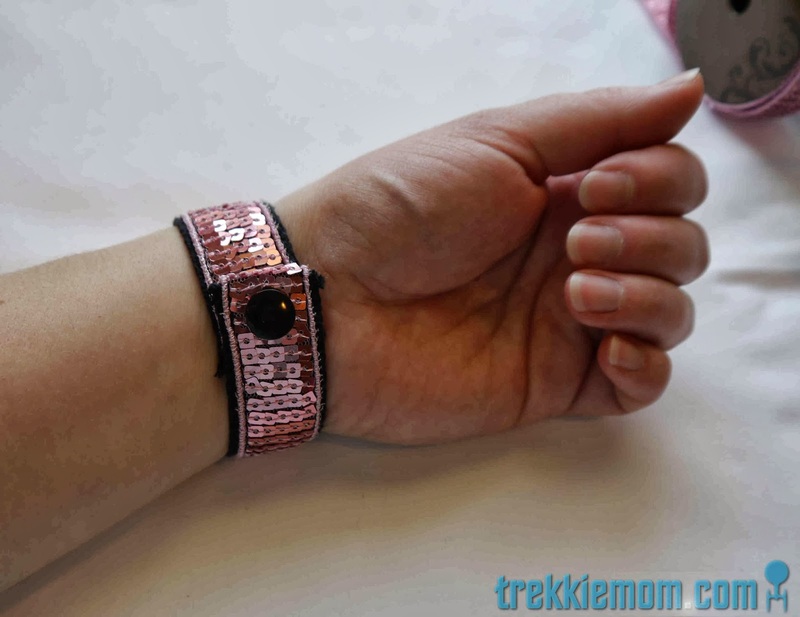 I hope you enjoyed my idea of wearable bling!